The Coldwell Banker brand is the oldest and most established residential real estate franchise system in North America. Founded by young entrepreneurs Colbert Coldwell in 1906 and later Benjamin Banker, Coldwell Banker changed the way people bought and sold homes across America, ultimately becoming one of the most trusted real estate brands in the world. More than 100 years later, the Coldwell Banker network is still continuously recognized for its innovation and leadership across 3,000 offices in 49 countries and territories. 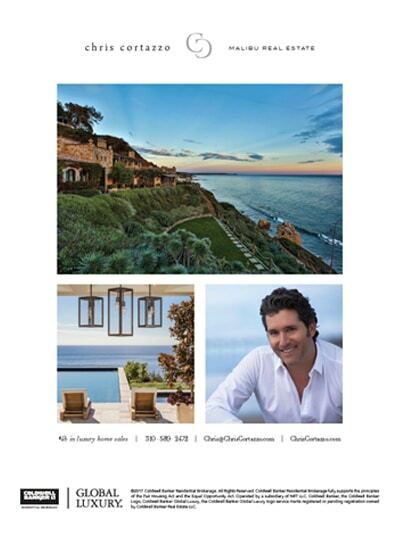 Showcase an exclusive luxury property as well as promote the representing agent. Geo-targeted campaign in the LA area, leveraging a targeted magazine that has an affluent audience and an affinity to buying luxury real estate.